The number of cases of ritualistic or faith-based abuse of children reported to Scotland Yard has risen year-on-year over the past decade. There were 19 cases reported in 2012, and nine in 2011. Some 148 cases have been referred to the Metropolitan Police since 2004. Det Supt Terry Sharpe said: "Abuse linked to belief is a horrific crime which is condemned by people of all cultures, communities and faiths. "A number of high-profile investigations brought the issue of ritual abuse and witchcraft into the headlines but it is important that professionals are clear about the signs to look for." He added: "Families or carers genuinely believe that the victim has been completely taken over by the devil or an evil spirit, which is often supported by someone who within the community has portrayed themselves as an authority on faith and belief. "Regardless of the beliefs of the abusers, child abuse is child abuse." 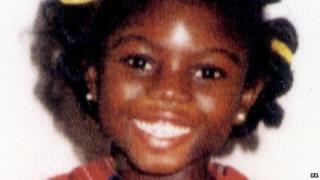 High-profile cases include the murder of 15-year-old Kristy Bamu in east London. He was tortured and drowned by his sister and her boyfriend on Christmas Day in 2010. They accused him of using witchcraft. In another case, Victoria Climbie, aged eight, was beaten, burned with cigarettes and forced to sleep in a bin liner in a bath. She died in February 2000. Her great-aunt Marie Therese Kouao and her boyfriend Carl Manning claimed she was possessed and were found guilty of her murder in 2001. The same year, the torso of a young boy was found floating in the Thames. It is believed he may have been the victim of a ritual sacrifice. Simon Bass from the Churches' Child Protection Advisory Service said: "We are pleased that the Metropolitan Police has undertaken such great work in this area, but we are convinced that this form of abuse is hidden, and that the statutory agencies across the UK are facing similar situations."